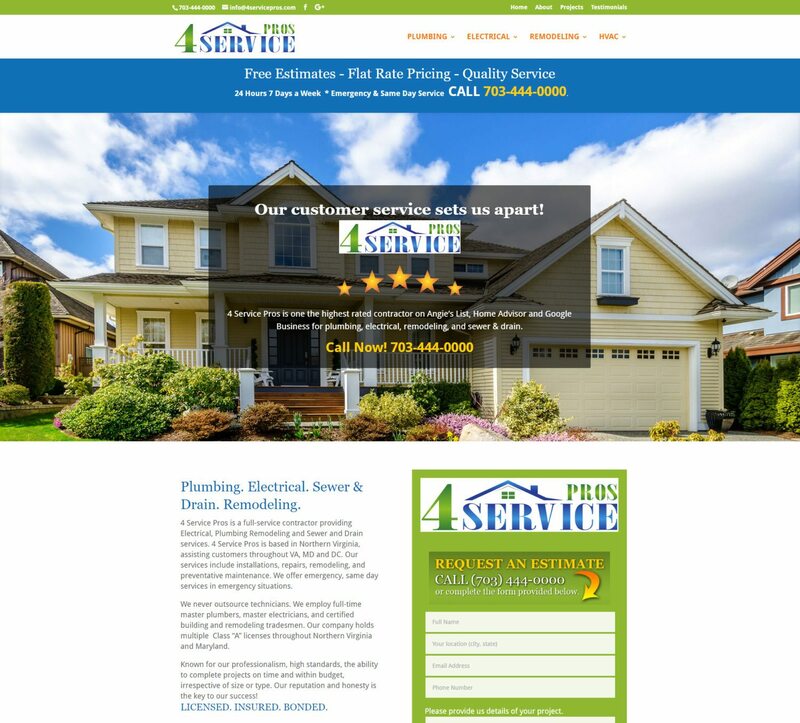 Trumpet Marketing has done it again… we have designed and built a new website for 4 Service Pros a premier Virginia plumbing, electrical, remodeling, HVAC service company. This responsive website utilizes the latest SEO technologies with an easy to navigate menu system with clear precise content. The responsive site is easy to view on all devices from desktop to smartphones.